Australia has issued a travel advisory and warned its citizens to avoid visiting Mindanao especially the city of Marawi. Australian citizens who are currently in the Philippines are reminded to be vigilant at all times and to exercise a high degree of caution due to the high threat of terrorist attack and the high level of crime. 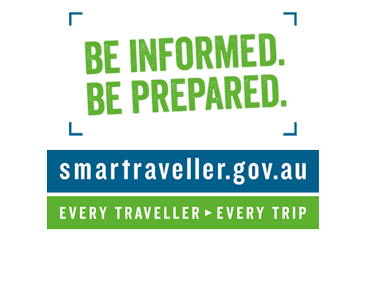 Smartraveller.gov.au reminds travellers to seek specific advice for the locations they intend to visit. If possible, do not travel to central and western Mindanao due to the very high threat of kidnapping, terrorist attacks, violent crime and violent clashes between armed groups. Right now, clashes between government forces and militants in Marawi City continue. Those in Marawi City are reminded to exercise heightened vigilance and review their personal security plans. On 23 May 2017, the Philippines Government declared Martial Law in Mindanao for 60 days. Measures imposed under Martial Law may include the suspension of the writ of habeas corpus, the imposition of curfews and establishment of checkpoints. Travellers are asked to monitor media reporting and follow the instructions of local authorities. On its Facebook Page, smartraveller.com.au stated: “The deterioration in security in Mindanao has resulted in a more volatile security environment in the Philippines. Travellers are reminded of the high threat of terrorist attack in the Philippines, including Manila. Exercise heightened caution at this time. Be vigilant about your surrounds. Monitor the media for information that may impact on your security. Follow local authorities’ advice. The level of this advice has not changed. We continue to advise you to exercise a high degree of caution in the Philippines overall. Higher levels apply in some parts of the country. The United Kingdom and the United States of America also issued similar travel advisories to its citizens due to the ongoing conflict in Mindanao. At the same time, the US denounced the ongoing harassment of Maute terror group in Marawi City. “The United States is a proud ally of the Philippines, and we will continue to work with the Philippines to address shared threats to the peace and security of our countries,” according to the statement of the White House.